I had a birthday last week. The big 48. Depending where you are in your life, that number may seem big or small. To me, it simply is. I had one friend tell me that every birthday is a celebration because you're still here. So true. And I am grateful to be here. To be me. I am a mother to four adults, two teenagers and two children. Seven still at home. I'm...lucky? I am a writer. This is hard to say some days when the minutes seems to be sucked up into some huge time-swallowing beast. But, I'm trying. I am a wife. Almost 23 years now. Lucky me to be married to the Handy Man who spoils me. I am a part-time worker. I've been working at a dry cleaner for two months now. I work while the kids are in school. I really like the job and the people I work with. One of the women in my writing group has been giving us daily writing prompts with the challenge to write for 10 minutes on that prompt. This is a great exercise to get your writing juices flowing and I love the way the story unfolds as you write. Also ten minutes is not much time. Even I can fit that in! Lauren sat still. Completely so. Nothing moved. Not the leaves around her. Not the bugs in the bark at her back. Even the air seemed to pause, miniscule water particles frozen in place. The name touched her ears as a whisper. Still she didn’t move. Her lungs were full of breath. They ached for release. Lauren denied them. Right. She’d believe that as soon as faeries stopped flying. Those words are like a sigh for me. The heat of summer has slipped away. There are hints of new color on the trees. And, the kids are back in school. For me, fall is a new beginning more than any January. Maybe because of my birthday. Maybe because of the school year. Maybe just because the feel of cooler air and the sight of the autumn ballroom energizes my soul. Whatever it is, it makes me happy. New beginnings are good. We all need them, imperfect humans that we are. It's about being better, doing more, and forgetting the failures or disappointments of the past. There are goals to be set- new heights to reach. This is what keeps us going. The push that comes from a fresh start. Think of what you could do. 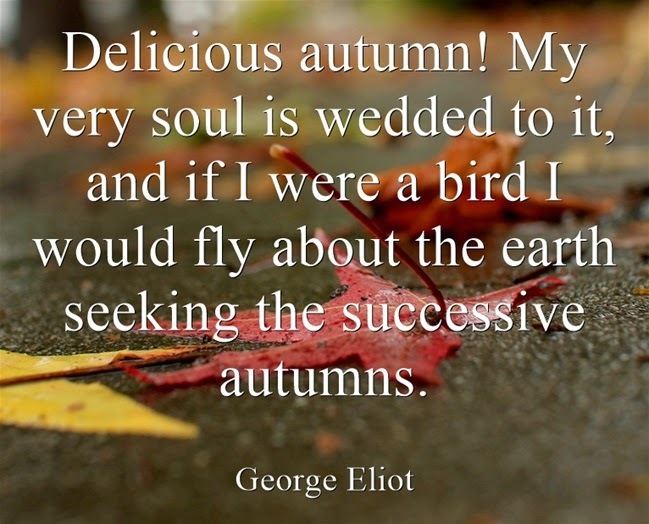 And, isn't autumn as good a time as any?